Pan the Sirens in the ’80s with Reader (top). A music reunion will take place Saturday, Oct. 18, at Rubbles in downtown Mt. Pleasant. If you’re a fan of the local indie music scene from the ‘80s, it’s a reunion you may not want to miss. And it features MMCC’s associate professor of English and Humanities, Bill Reader. 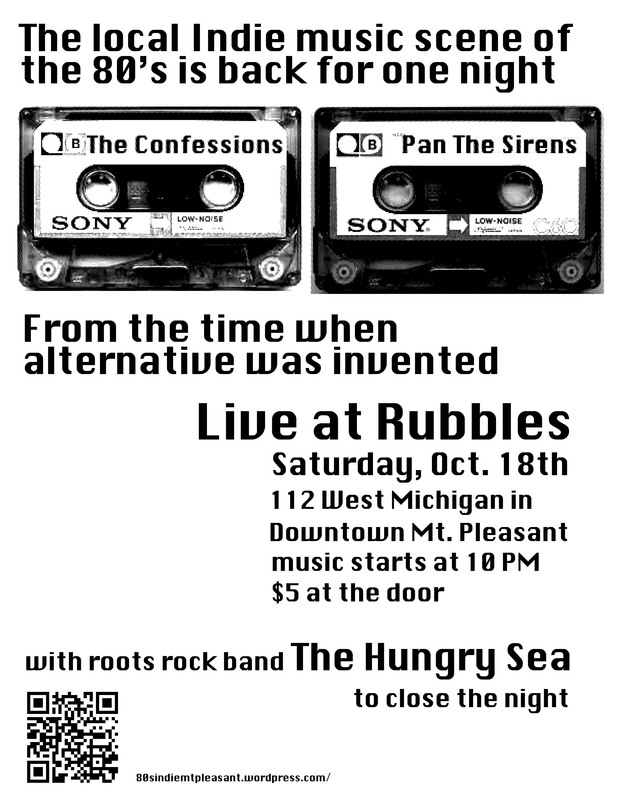 Pan the Sirens and The Confessions, two local indie bands that debuted at the Foolery (now Rubbles) on the same night in January 1988, will be back on stage Saturday. The Confessions broke up in 1989 and the Foolery changed hands later that year and became Rubbles. Pan the Sirens also disbanded in 1990, though they reunited for a one-night show in 2009. Reader, who is currently a doctoral student at Michigan State University in addition to teaching at MMCC, played bass guitar for Pan the Sirens in the late 1980s, after working his way through the drums and tenor sax as a youth. He also was a member of several other bands while returning to college. Music starts between 9 and 10 p.m. Saturday at Rubbles, 112 W. Michigan. 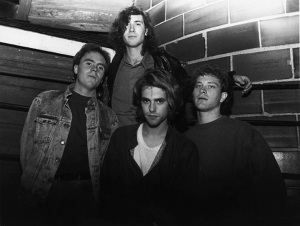 An Ann Arbor-based group, the Hungry Sea, featuring Confessions guitarist Greg Marten, will close the night. There is a $5 cover at the door.